BULAWAYO pressure group, Ibhetshu LikaZulu, has been barred from conducting Gukurahundi commemorations at Stanley Hall in Makokoba on Unity Day, December 22, with the police saying the venue was already booked for another event. Ibhetshu’s secretary-general, Mbuso Fuzwayo expressed disappointment at the police’s decision, saying several political party representatives had agreed to attend. “The aim is to reflect on what the day means to us. We believe that it is an important day for Zimbabweans, especially those from Matabeleland,” he said. In stopping the pressure group’s planned commemorations, police said Stanley Hall had already been booked for the Ibumba Arts Festival running from December 16 to 22. “This office acknowledges receipt of your correspondence dated December 7, 2016, which you intend to hold 22nd December Commemoration at Stanley Hall (sic),” the police’s response read. Fuzwayo said it was puzzling that the police turned down their request in November when the group booked the venue in July. “I booked the venue in July and I have the receipts,” he said. Zimbabwe commemorates Unity Day annually on December 22 to mark the signing of the 1987 Unity Accord between PF (Zapu) and Zanu to mark their integration and an end to hostilities. 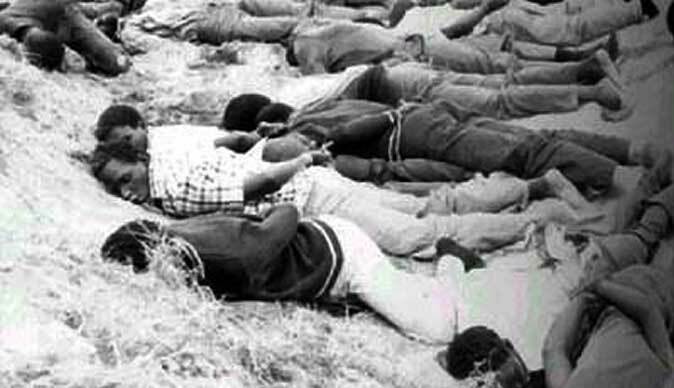 At least 20 000 people from Midlands and Matabeleland were killed during the Gukurahundi era, as the government sought to clamp down on dissent. Over the years, the people of Matabeleland, particularly youths, have been reluctant to embrace Unity Day, citing unfulfilled promises and outstanding issues around the Gukurahundi atrocities.